Diving Canada and the COC have announced the six divers who will represent Canada at the Olympics, with the Fab Four making its collective debut in Rio. 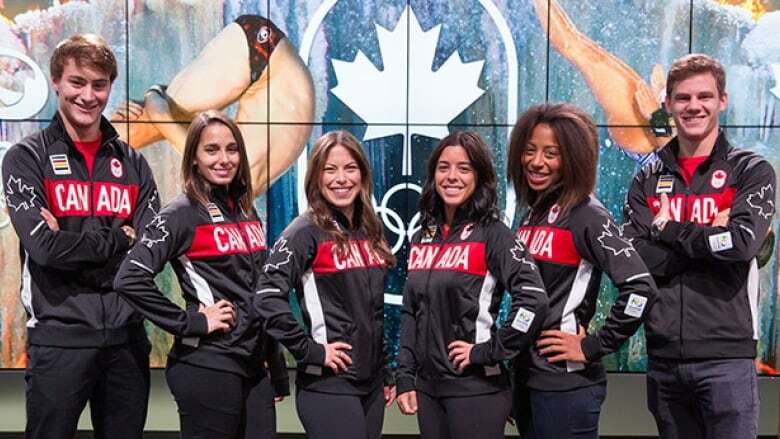 Canada's Fab Four divers will make their collective debut at the upcoming Olympics in Rio. Diving Canada and the Canadian Olympic Committee announced the six divers who will be competing at the Games in August on Monday. While Jennifer Abel, Meaghan Benfeito and Roseline Filion each earned bronze medals at the 2012 Olympics, Pamela Ware will make her Olympic debut after tremendous performances on the international circuit and at last year's Pan Am Games. The quartet will compete in both individual and team events in their respective disciplines; Benfeito and Filion will dive in the 10-metre individual and synchro platform events while Abel and Ware will compete in the three-metre springboard events. "I feel excited, but confident, going into my third Olympic Games," said Abel. "We have worked so hard during the past Olympic cycle and I'm looking forward to show the world how the past four years have helped me become a better diver. Until then, I'll be focusing on training and fine tuning. I couldn't be happier to go into the final stretch before Rio knowing I have such an incredible team by my side." Rounding out the team are Vincent Riendeau and Philippe Gagné. Riendeau, originally from Pointe-Claire, Que., will compete in the 10m event, with the 18-year-old Gagné diving in the 3m competition. According to Diving Canada, there is still the possibility of one more berth in the men's events depending on the number of spaces left after all countries confirm their entries with FINA. In anticipation of this, Maxim Bouchard and François Imbeau-Dulac were named as team alternates.